SimplePoly City - Low Poly Assets. Mobile Optimized Assets. 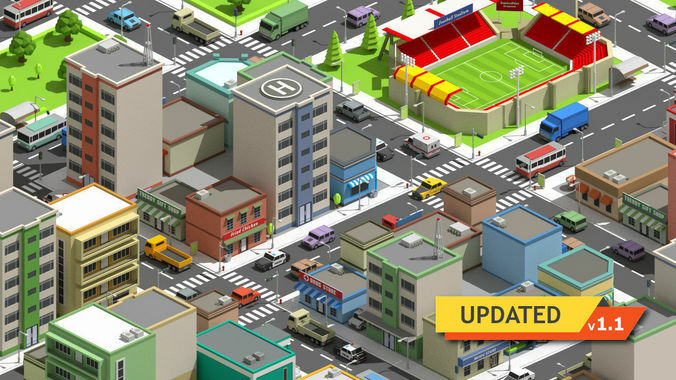 This pack SimplePoly City is a collection of low poly assets for to create city based games. Buildings, Vehicles, Roads, Props, Natures and many more. Each model is between 10 to 1000 polygons. 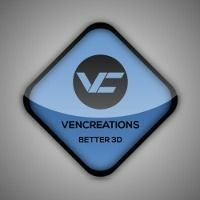 Vehicles - This asset pack contains 42 vehicle prefabs with different color variations and types (two versions - 21 prefabs for Static wheels and 21 prefabs for Separated wheels). Container, Truck, Bus, Pick up truck, SUV, Police car, Taxi, Ambulance and car. Props - Two bench types, Three types of Billboard, Bus stop, Coffee shop chair, Dustbin, fence, hydrant.and windmill. Roof props - Antenna, helipad, solar panel, air props and more. Road Props - Street Light, traffic cone, Traffic Control Barrier Fence, Signs, two types of signals. Hi, does it work on 3ds max? It's FBX format so you can easily import on 3ds max. Good simple models for the price. Good quality model, with enough detailing, for cartoony style, its a steal at this price.